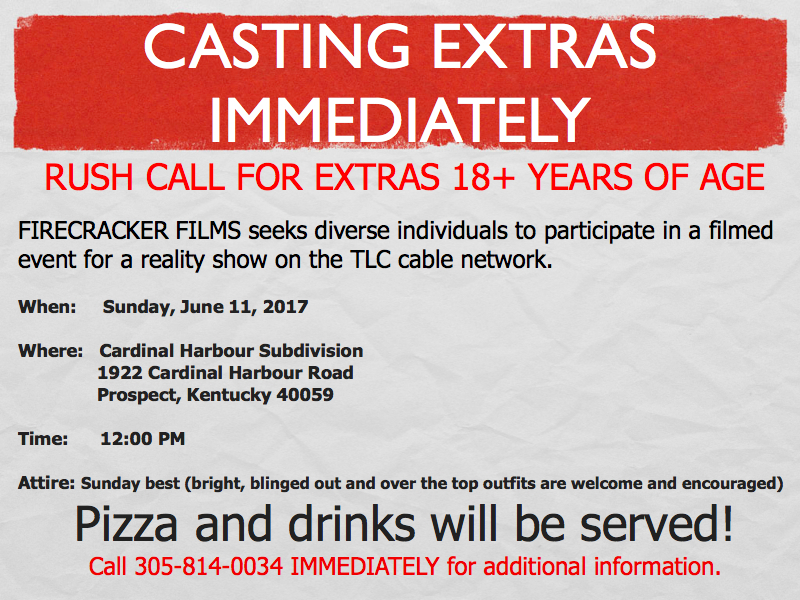 FIRECRACKER FILMS seeks diverse people dressed in their Sunday Best to participate in a filmed event for a reality show on the TLC network this Sunday, June 11, 2017 12PM in Prospect, Kentucky! Call 305-814-0034 IMMEDIATELY for additional information. Please see the casting flyer below for more information.